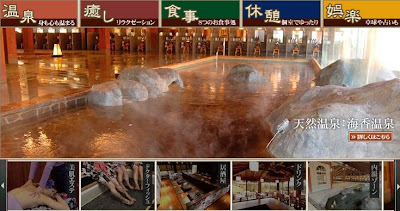 Located in a far end of nowhere, Yumegurimangekyo is a domestic spa facilities in Tokyo. You will fully be exposed to an alien town whom the people speak little English, i.e. you may end up to have nothing to eat at the facility! Getting to Shin-Urayasu is not difficult but a bit far. It is one station further after the Tokyo Disneyland. JR Keiyo Line is starting from JR Tokyo Station. After getting out from the station of Shin-Urayasu, Shoppers Plaza will immediately come into your eyes. Walking to left end of the mall and crossing the road, you will find the signage for the free shuttle service. The shuttle drive takes about 10 to 15 minutes, i.e. don't dare walk from the JR station to the facility. 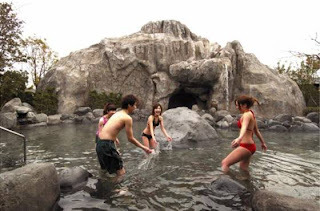 The common outdoor 'hot springs' are definitely impressive. They are well designed for couple. 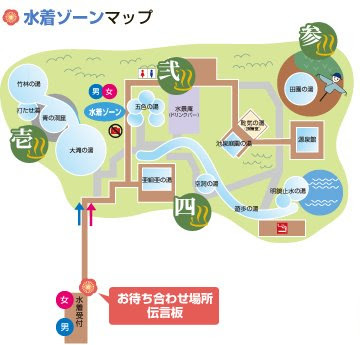 However, you've got to bring in your own swimming gears, if you want to explore this part of facilities (Or, you can pay a couple hundreds yen additional to borrow the gears at the entrance of the outdoor 'hot springs' area). Overall, the place is quiet and relaxing. The herbal stuff sounds working. haha!